Another unexplored corner of the Vauxhall Insignia model range. 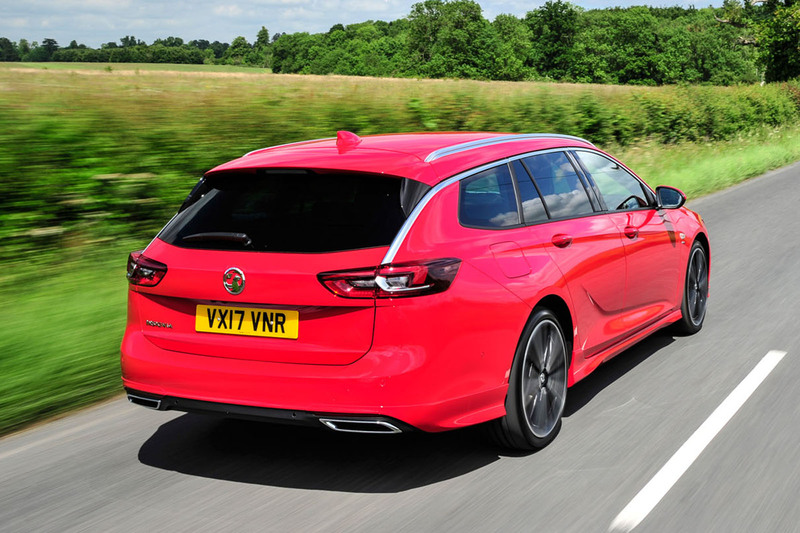 Vauxhall’s family-sized saloon and estate is available with a trio of petrol engines, the middle-sitting 1.5-litre turbocharged option developing 163bhp. We’ve already tested the new wagon in entry-level 138bhp petrol form, and in saloon guise as the 256bhp 2.0-litre turbo petrol range-topper. Now is our first chance to find out if the middle-sitting option is the sweetest of all three. In the enlarged estate version of the Insignia, that engine makes for claimed fuel economy of 46.3mpg combined, rated CO2 emissions of 139g/km and claimed 0-62mph acceleration in under eight-and-a-half seconds. An equivalent Ford Mondeo is not only more expensive but marginally slower-accelerating, though a natch more fuel-efficient; a like-for-like Skoda Octavia has the Vauxhall beaten across the board and by bigger margins. But then neither the Ford nor the Skoda quite equal the Insignia on all-round value for money – the big Vauxhall combining a sub-£20k asking price with a near-600-litre boot, a very room cabin, competitive performance and economy claims, and a standard equipment list that includes touchscreen navigation, smartphone mirroring and an in-car wifi hotspot. Refined, flexible and fairly economical. This isn’t the first representative of the more affordable end of the Insignia range to impress us, mind you – and if you’re interested in this car for the reasons we expect you to be, it’ll be the more affordable models you’ll probably be interested in. But, just like the 108bhp 1.6-litre CDTI, this Insignia has the accessible torque to move what’s undoubtedly a large car’s mass quite easily, not to mention good cruising manners and creditable efficiency. The engine settles to a distant hum at idle, staying smooth and quiet through typical operating revs right up until close to the redline. In cars priced as aggressively as the Insignia, mechanical refinement isn’t a quality you expect, but this one certainly has it – and enough of it even to clinch a marginal buying decision if such things are high among your priorities. Don’t expect premium-branded equivalents to necessarily be quieter. The car’s controls are medium-weighted and all perfectly pleasant to use, with little notch or spring to the manual gearlever’s action and a well-tuned clutch. Getting the car moving is easy, therefore – and, though there’s less need than you might think to hop up and down that gearbox in order to preserve your momentum, when you need to change gear it’s never a chore. The engine’s 184lb ft of torque, present from just 2000rpm, shoulders the Insignia’s mass quite easily, and you find yourself leaving high gears in train when speeding up on your way out of urban areas and allowing the car to accelerate from low revs. On the motorway, where you need to work both engine and gearbox a bit harder to overtake with confidence, things are a little different. But there’s certainly enough accessible torque here to suggest that the car could handle a cabin full of family, a boot full of luggage and even a light trailer or caravan respectably well. The Insignia’s suspension feels pretty conventional in its dynamic execution, bringing plenty of ride comfort, good handling stability and respectable cabin isolation to the table, and prioritising all three above any handling verve – just as it probably should. The car’s commitment to do what really matters well would make it a fine long-distance machine and a very pleasant, secure-handling car to drive every day. Through corners the car grips fairly keenly, and has decent handling response and balance for its size, making it easy to place. But body control is better around those bends than it is along a rising and falling B-road, where the car’s vertical composure can be found wanting if you hurry it. The official New European Driving Cycle fuel economy quote for the car is 46.3mpg – and, quite rarely, that’s not such a considerable over-estimation of the car’s true potential. Our test car returned between 42- and 45mpg on its trip computer during a couple of mixed and reasonably length test drives, which is certainly a good enough result to warrant considering it in place of a diesel for all but the highest-mileage user. That the new Insignia’s cabin over-delivers on equipment, comfort and space we already know after several acquaintances with it. There’s enough cabin space here to earn the car a rank among the most practical in its price bracket for a family of four, as well as three ISOFIX childseat anchorages across the second row seats which remains quite a rarity at least until you get into the MPV market. On material richness there’s a more plain look and feel to the dashboard’s fixtures and fittings than in plenty of rivals; so you could certainly buy ‘nicer’ for the money. But you’d be unlikely to get so much kit for your money. The Sport Tourer’s 560-litre boot isn’t the very largest among cars of its kind, but it’s certainly large enough to swallow longer bulky items loaded longways. At this level you have to pay extra for 40:20:40 split-folding back seats, but that’s the only blight on an otherwise impressive showing on practicality and load-carrying potential. With each new engine, body style and trim level we test, the Insignia is building itself a quietly enviable reputation for its various pragmatic accomplishments. It’s not a car to expect to be excited by, but it’s likely that freedom from most of the baggage of dynamism was what allowed Vauxhall/Opel to make the car so good in other respects. And it is good: not just well-priced but well-mannered, well-equipped, comfortable, strong-performing and broadly competent to drive. 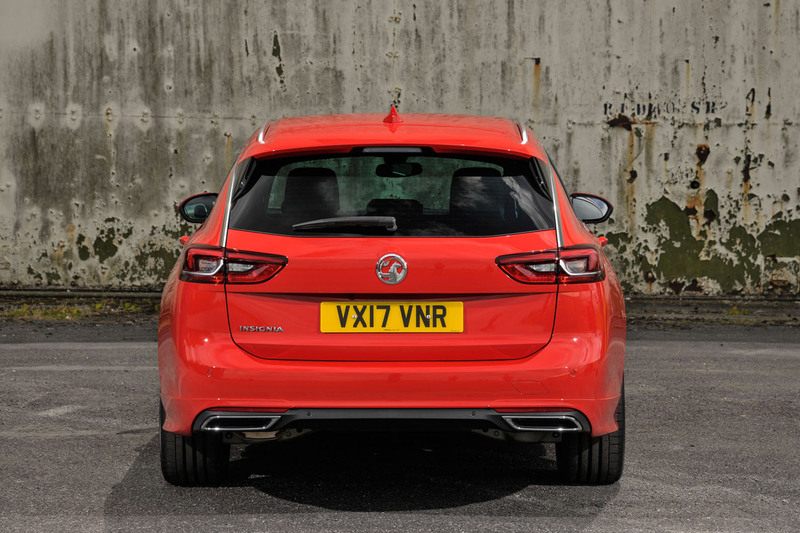 Whether or not you’ll want one is another question, of course – but Vauxhall’s equally competent job of the car’s styling should help on that front. And assuming you do – and you’re minded to avoid a diesel engine, whatever your reasons – this car’s ready to do everything you need from it. Another impressive Insignia, for less than a tarted-up Fiesta Vignale. It's got a whiff of Mazda 6 wagon about it, and that's a good thing. Never thought i'd say this but i'd consider this for the next family wagon. I'm not sold on the looks of the estate version but what is so impressive is price for what is an extremely competent car, especially when comparing it to a Mondeo 1.5T Titanium which comes in at whooping £26,295. That's a WHOOPING £6,500 more and I don't think that even includes things lilke Nav. On the plus side Ford from time to time offer discounts cause they know they've been overpricing so keep a look out for offers. Looks like PSA got a bargain too! Just as soon as they made a really impressive and great value car, they sold the company (Opel/Vauxhall) down the river to PSA! Bit like Ford with Jaguar, Volvo and, possibly, even Aston Martin then? You think these facts aren't related? 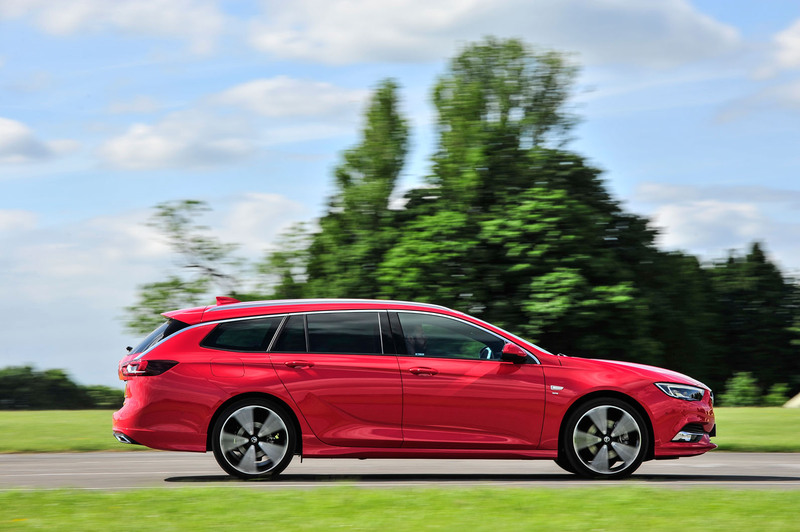 GM had to make Astra and Insignia good enough to make Vauxhall-Opel an attractive proposition for sale, and tie-ups on Crossland/Grandland cemented the PSA deal. They're also effectively paying Peugeot to take them away by underwriting the massive pensions costs, which way higher than the purchase price. GM can now leave a market that they never truly got to grips with and concentrate on getting their share price up at home for the next onslaught - either way, Mary Barra's tenure at GM will be the subject of case studies and MBAs in the future. With strong core products, Vauxhall-Opel now at least stand a chance of survival, but I fear for the future of Ellesmere Port post-merger & post-Brexit. An awful lot of car for the money. You wonder what profit Vauxhall/Opel are making on this? I think they've finally realised that quoting high list prices, but them discounting anyway, is no good. Going in at a price that is low without the customer having to haggle seems like a sensible plan. Low list price is impressive and will benefit company car drivers but finance deals will be key. This engine in an Astra? As good as the Insignia sounds, it is big, far too big for me. But the engine sounds very strong and would be even better in the Astra. Of what is a large car with petrol engine. With the petrol being that economical the case for an alternate diezel version of the same car appears weak indeed. This may be the engine of choice for the Insignia. Even though the less powerful 1,5L petrol can be had - at an even lower prices, so low it becomes an alternative for high end super minis. At these numbers for fuel consumption, I doubt that a petrol super mini is all that more economical anyhow. GM really looks to have finally created a winner just as it sold it's operations in Europe. So PSA made after all a fortuous purchase.